At Whangateau Holiday Park, we have a full range of facilities to host groups of all sizes, including motor home or campervan touring groups, caravan clubs and rallies, fishing clubs, diving groups and school camps. Whangateau is ideal for educational camps with an emphasis on marine studies and marine biology, with easy access to the marine reserve area at Goat Island and close to unique mangrove areas. 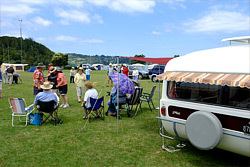 Whangateau offers everything you need to make a truly memorable camping experience. Please contact us to discuss your requirements and suggestions for school activities. We look forward to hearing from you.